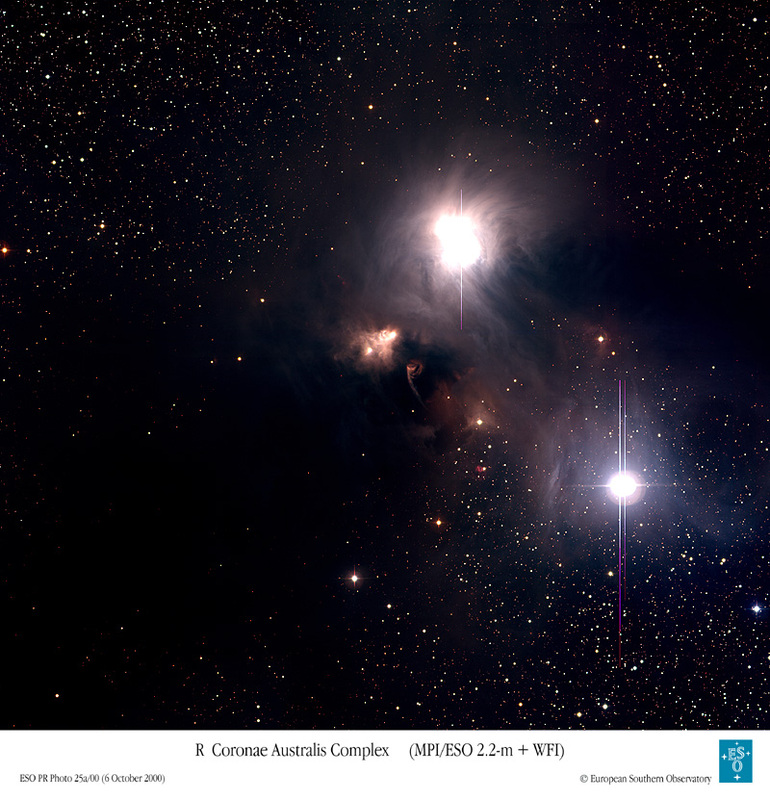 Explanation: Young star R Coronae Australis has a dusty home. The dust is so thick on the upper left of the above photograph that little light from background stars comes through. Thinner dust near the stars reflects light from R Coronae Australis (upper right) and neighbor TY Coronae Australis, giving their surroundings a flowing appearance. Were these stars more massive they would emit light energetic enough to ionize much of the nearly invisible surrounding hydrogen gas, causing it to appear bright red. The unusual structure above the center is a Herbig-Haro object, a knot of gas ejected from the star that has impacted surrounding gas. 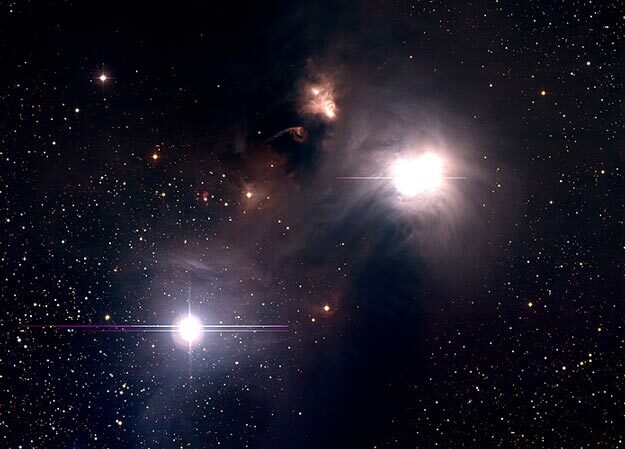 R Coronae Australis is about 500 light-years away, while the region shown is about four light years across.